Everyone knows that besides the thankfulness, Thanksgiving is all about the food. If you and your family like to make tons of food for this festive holiday, then you’ll probably have turkey for days. When you start running out of ways to prepare all of that extra food, here are some delicious Thanksgiving leftover ideas that will help! With that list of ingredients, do we need to tell you more? The recipe for this turkey sandwich will have you making this for lunch every day. With the weather getting colder and the air getting crisper, this turkey soup will be a warm addition to your next meal. Make sure you put your name on your lunch bag if you bring these sweet and spicy turkey pitas to work, because it is definitely a delicious dish! 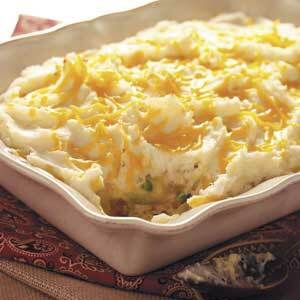 This casserole combines the best of Thanksgiving into one hearty, tasty dish. The recipe makes eight delectable servings. Pizza is delicious on its own, so of course we knew a Thanksgiving version would be extra delicious. You can get really creative with the ingredient combinations for this recipe. Make this hearty mac and cheese by adding your leftover ham, veggies, and even crackers. 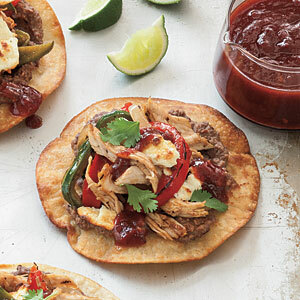 Go a little south of the border with this yummy turkey tostada recipe. The spicy cranberry chipotle sauce gives it an extra kick! So, are you going to make one of these turkey leftover dishes the day after Thanksgiving or do you have a special recipe to make your Thanksgiving leftovers more mouth-watering? Let us know in the comments below. And don’t forget to save a slice or two of apple pie or cake roll for dessert. It’ll be like enjoying Thanksgiving dinner all over again! Next post Dazzling Doorbusters: Ready. Set. Shop!